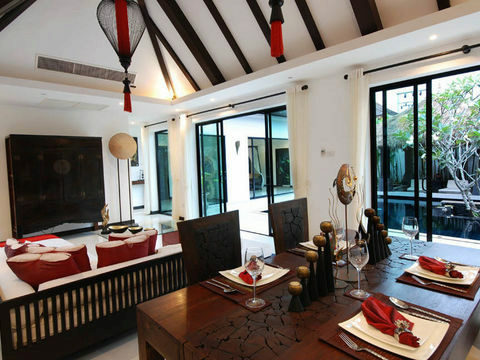 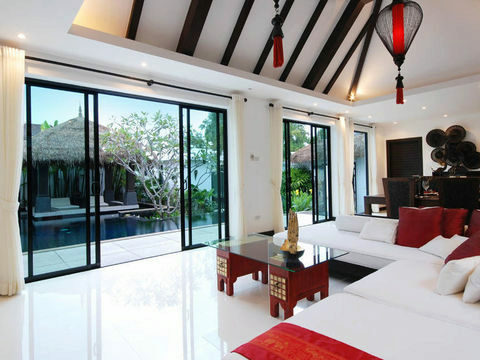 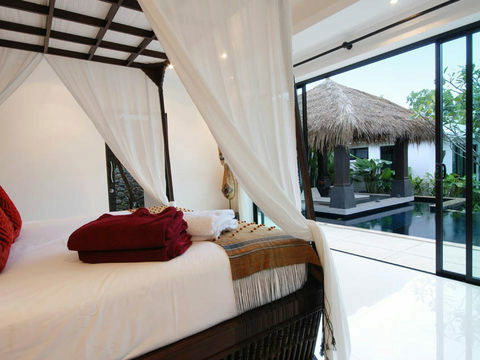 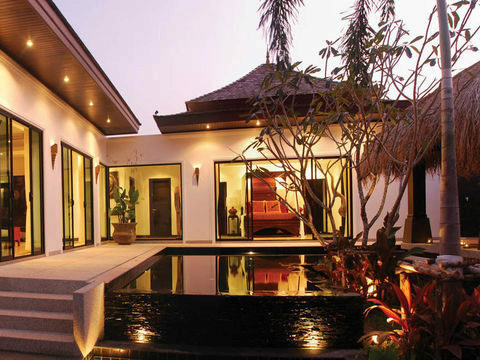 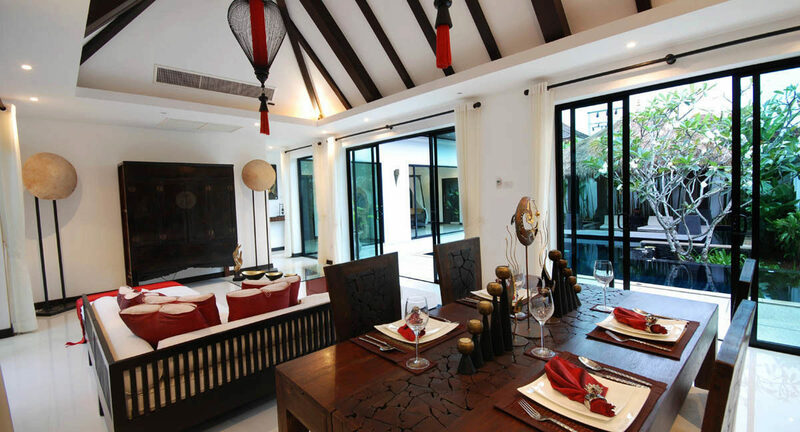 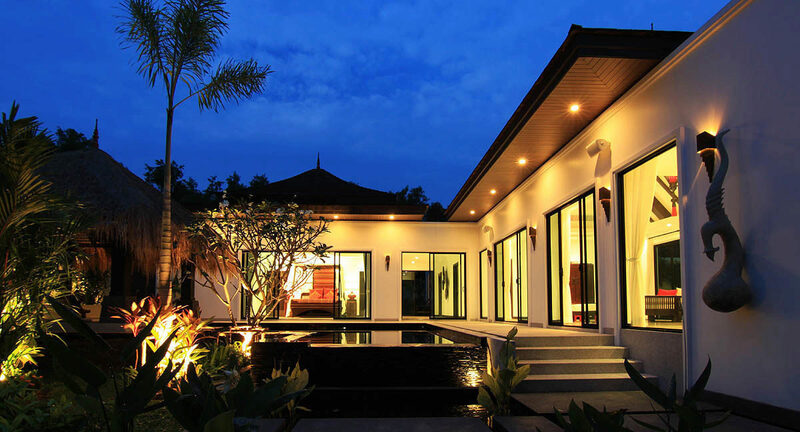 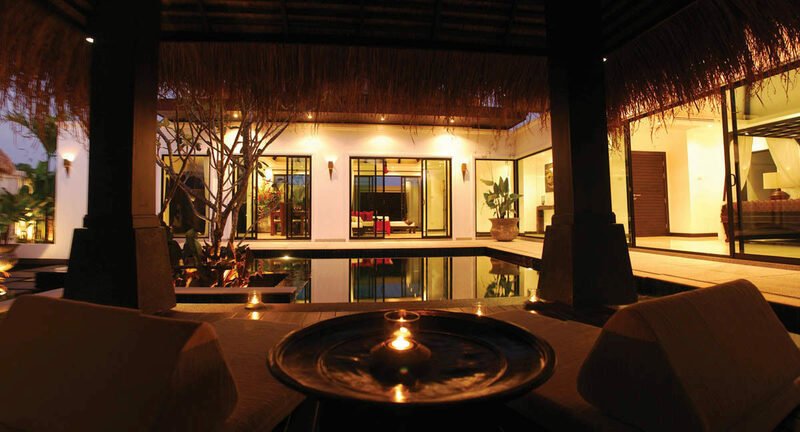 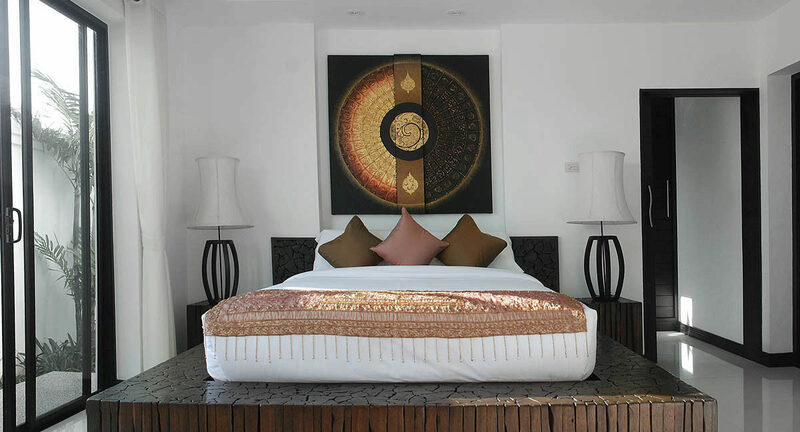 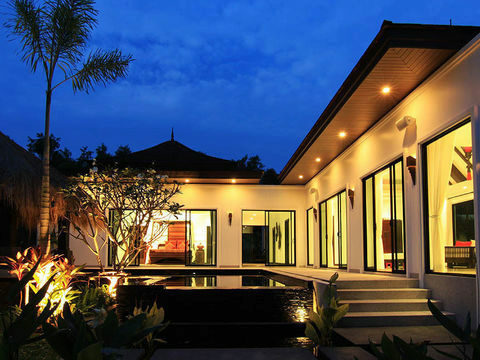 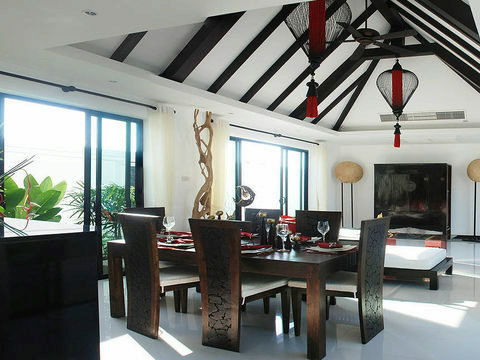 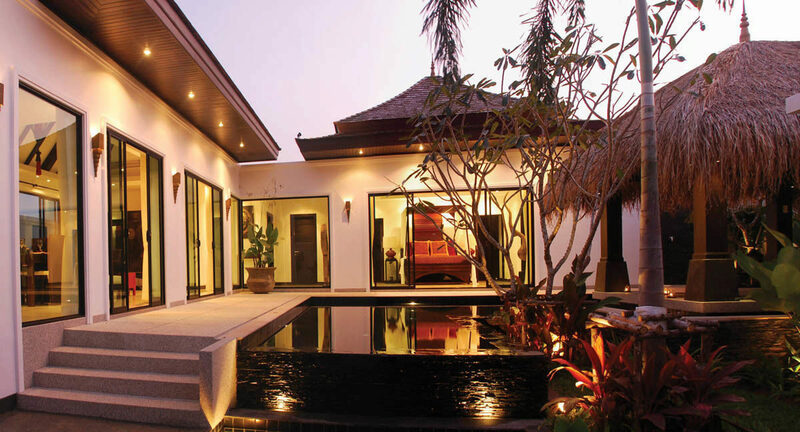 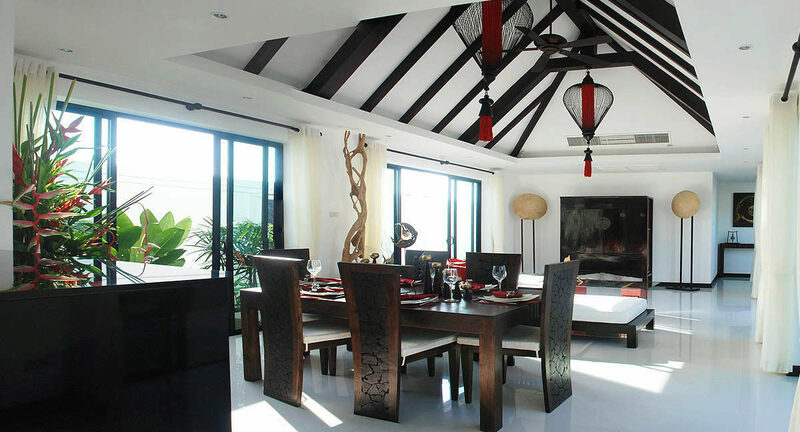 Villas offer three bedroom villas, each villa is nestled with its own fusion of western technology with Asian styling, the large master bedroom dressed with the finest linens, perfect for couples traveling together or families with children. 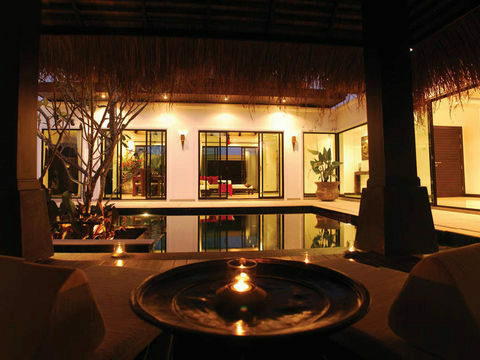 And has a large outdoor swimming pool perfect for children of all ages, guests can also enjoy the perfect romantic evening in the outdoor sala. 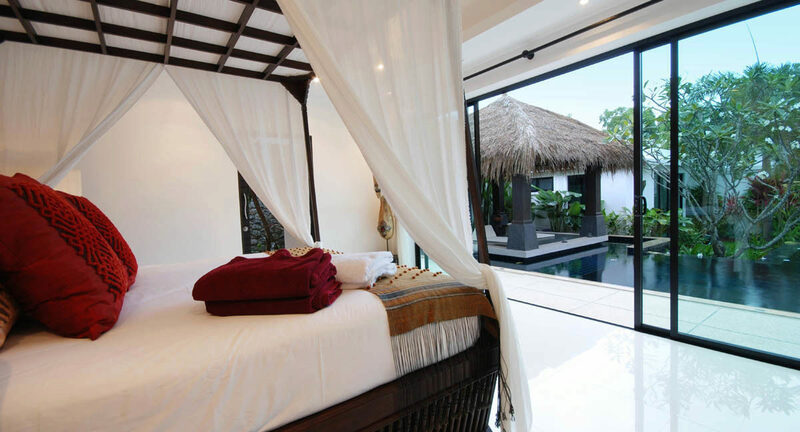 The villa offers complete privacy, designed in a tropical contemporary style, both exterior and interior have been crafted with a large & spacious living area to the highest standard and custom-built to follow the natural contours of the lush tropical surroundings. 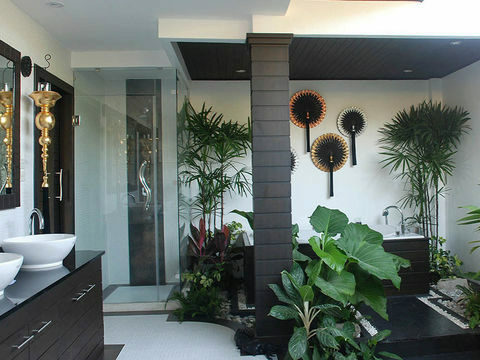 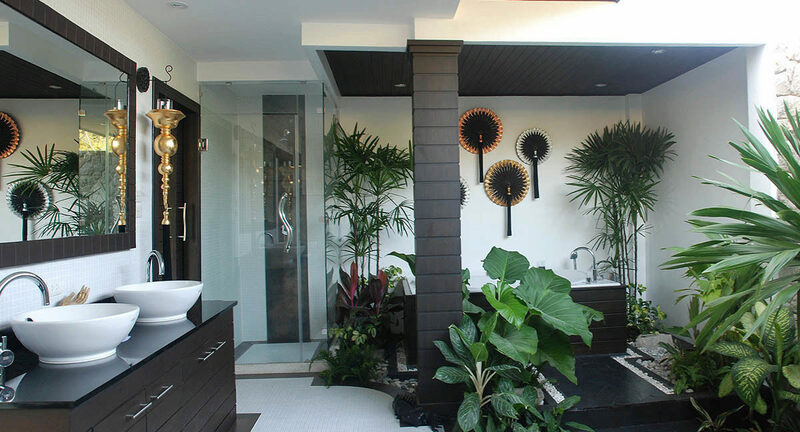 All our master bathrooms have inside and outside rain showers and a Jacuzzi bathtub surrounded by lush tropical plants. 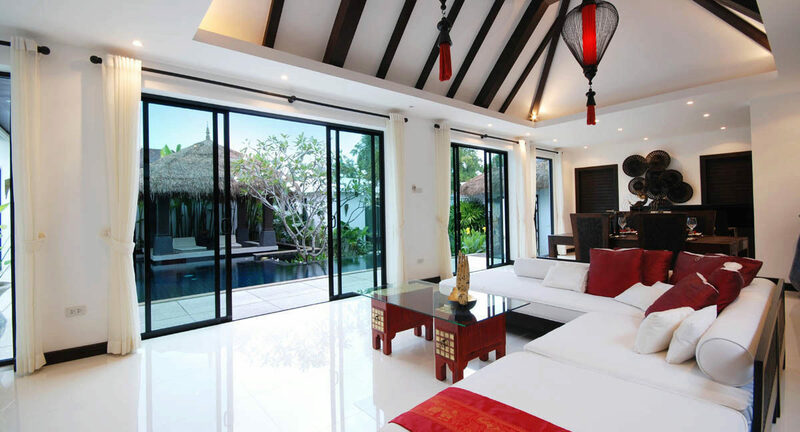 The stylish and contemporary floor plan of each villa is very spacious by allowing a seamless spillover of indoors into outdoor living. 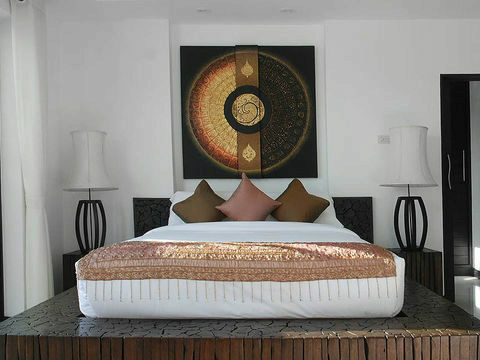 1-2 bedroom private use available with discounted rate.